Passwords are extremely important to user accounts, but there may come a time when you need to change your password or maybe you forgot your password. We’re here to help. 1. Visit your User Account page. 3. Type your old password, and then your new password in both boxes, and make sure you hit the big green Save Settings button. 4. Your password has been updated! It is very important to keep your passwords secure and to remember them, but there might come a time when you forget a password. Follow these easy steps to get a new password. 1. Visit our Password Reset page. 2. Enter the email address registered with your account, and select Retrieve Password. 3. Check your email for a new temporary password. Please make sure you use the following steps to ensure that your new password works! 1. If you copy and paste your new password, please make sure that you do not copy or past any extra spaces with your password. 2. 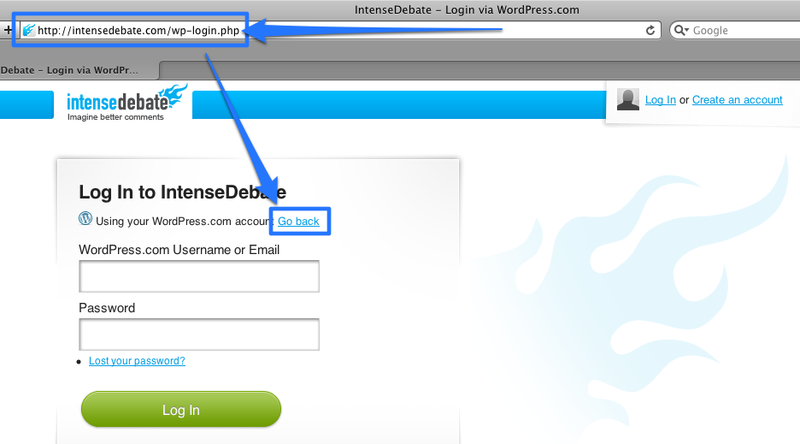 Please make sure you login at the correct login page: http://intensedebate.com/logmein and not at http://intensedebate.com/wp-login.php. 3. 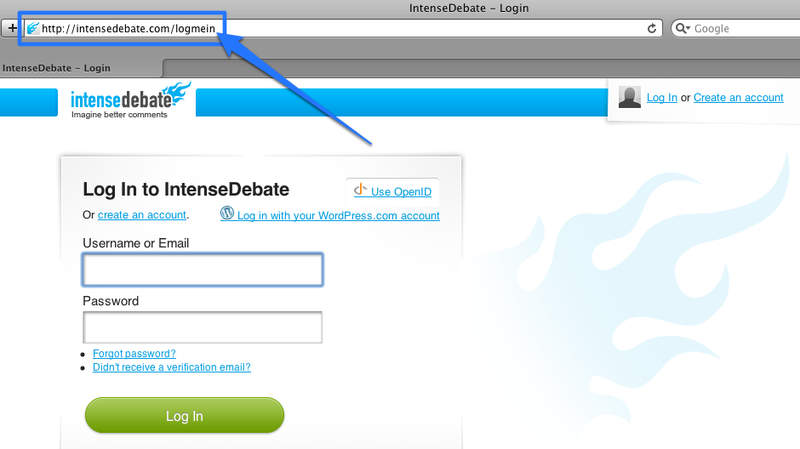 If you are at http://intensedebate.com/wp-login.php, please select the Go Back. 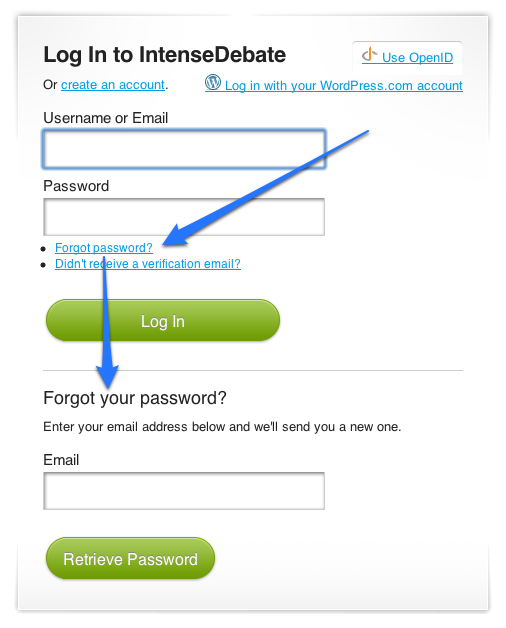 2) Type your WordPress.com username or e-mail into the text box and click the Get New Password button. A page will load with a message to Check your e-mail for the confirmation link. 3) Check your email and you should receive a message similar to the one below. 4) Click on the link in the email. A new page will load in your web browser with a message to Check your e-mail for your new password. 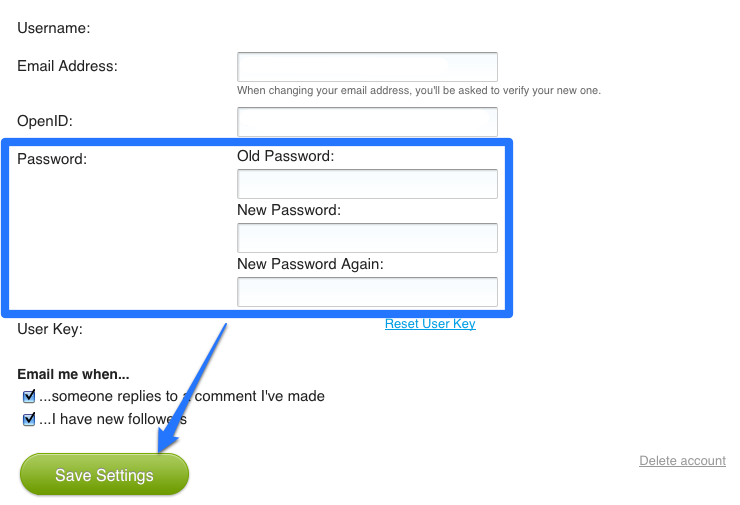 5) Check your email once again and you’ll receive a message with a new password. 8) Change your password to something secure but something you will be able to remember. 9) Enjoy your WordPress.com account again! Tags: Account, Passwords, Profiles, Security, WordPress.com — Can't find your answer here? Let us know.